Dance releases endorphins in the body, making you feel good! What other reason do you need to get your child involved in a dance class? Introducing our youngsters to exercise at an early age encourages them to build healthy habits for life. Harvard University have done studies on the effects of dancing on the body and brain. Do you need any other reason to consider starting your little one in a dance class? 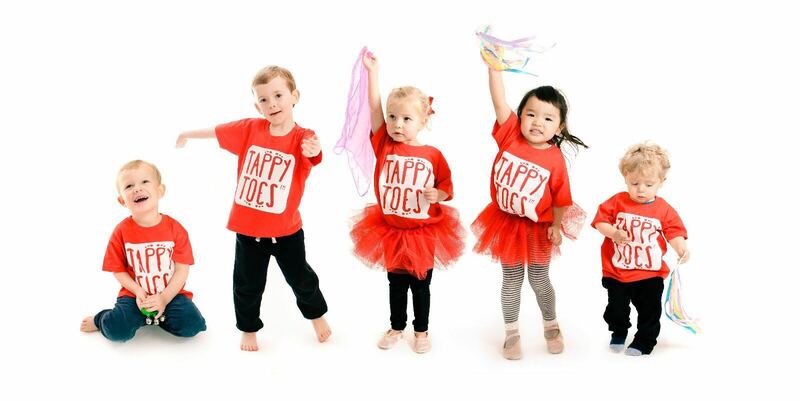 Tappy Toes run active dance and movement classes for children aged 6 months to 5 years. Our classes are specifically designed to instill a life long love of dance and movement into your little dancer. Boy or Girl, Tappy Toes toddler dance classes will greatly improve your child's coordination, motor skills and social skills, as well as challenge their imagination and creativity. Our baby classes are for children aged 6-18 months. We use a variety of sensory props to engage them, including glow balls, bells, scarves and more. This class is designed for children aged 18 months all the way up to 4 years. It is very much a parent/carer participation class, but you will notice older dancers become increasingly independent as the term goes on. You can use your mouse to scroll, zoom and click/drag the map. Designed to get your children moving! We’d love to get your party guests moving. Book a Tappy Toes party entertainer and let us tire them out for you! Stuck for ideas for your little ones birthday party? Want to organise a children’s Christmas Party? We would love to entertain your party guests for you! We can tailor our parties to to suit your child, party guests and venue, and will happily work with your party theme. We bring all our Tappy Toes props and get the whole party moving. We promise it will be a party your little one will remember! 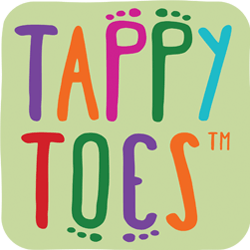 Tappy Toes is the flexible, family, friendly business, perfect for a working parent, or anyone who loves working with children. The Family Friendly Lifestyle Business – in a box! We are looking for enthusiastic, bubbly people who are great with little ones, to take Tappy Toes to the next level. We get enquiries every day about having Tappy Toes toddler dance classes in different areas and we simply can’t do it all by ourselves. If you are looking for some rewarding and fun, flexible work, a Tappy Toes franchise could be perfect for you! It fits in around your family life and is so enjoyable you won’t even feel like you’re working! YOU set your class days and times, YOU set your term dates, YOU decide whether to work in school holidays or weekends. Full and Comprehensive Training on all aspects of running your business. CAA Recognised, successful Brand. Tappy Toes has been running classes since 2002! Tappy Toes Complete Lesson Plans. A set of Tappy Toes T-shirts. Tappy Toes Operation Manual including all documents needed to run your business. Business Coaching- How to develop and grow your business. 5000 Flyers - With your class Times and Locations. Merchandise at low prices unavailable in the marketplace. Class promoted on the Tappy Toes Website. Bespoke support at times to suit you. A set of props to get you started. 10 pairs of ballet shoes. • Must be enthusiastic and enjoy working with children. • Must have a minimum of 8 hours per week to commit to Tappy Toes. • Must have the desire to build and grow an exciting new business, with the support and back up of an existing, successful franchise brand. This is a proven business that works. It is a great time to join an industry that is growing rapidly. Areas are limited so call now to see if a Tappy Toes toddler dance franchise is available in your area. For more information on how to get started, download our prospectus below. Applications will be reviewed and all applicants will be required to go through an interview process. We aim to provide a specific standard of service and brand standard. A dance background is a real bonus but is not essential as you will be given full training on how to run our classes. Claire Greenwood, Mother of 2 and Creator and Founder of Tappy Toes, has been dancing since the age of three. Claire trained at Laine Theatre Arts, Epsom, Surrey, on a three year musical theatre course. She gained Distinctions in Ballet, Modern and Tap ISTD Teaching Associates, and an Anatomy Diploma, and has been teaching dance since she was 16 years old. A professional dancer from 1998- 2010, she performed with major pop artists including Destiny’s Child, KT Tunstal and Catherine Jenkins. In west end venues, the Royal Albert Hall and the London Palladium, and in countless hair and fashion shows for companies including Marks and Spencer, Levis, Clarks, Wella and L’Oreal. She appeared on Top of the Pop’s, MTV, the Brit Awards, a series for ITV1, and a cinema and TV campaign for Lynx. She is now an accomplished choreographer having worked on adverts for the Olympics 2012, Moshi Monsters and Lumi Jewellery, and on TV shows including CBeebies, Nuzzle and Scratch, ITV1s Wedding Dances and a Teachers TV series. With over 15 years of teaching experience behind her, Claire created Tappy Toes in order to develop imagination, build confidence, improve coordination and inspire creativity in your youngsters, and to provide a fun but controlled environment for parent/carer and toddler to bond. Claire also runs Rise Studios. Tappy Toes runs sessions in nurseries all over the country for 6 months to 4 year olds. If you’d like a free demo session at your nursery please get in touch! Download our nursery information pack below.